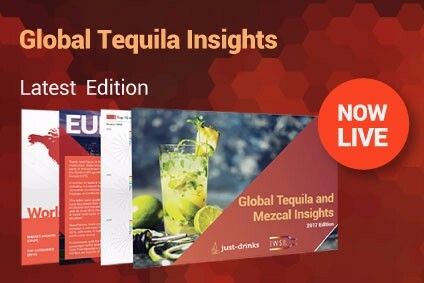 The burgeoning market for ultra-premium offerings, particularly in the US, has provided the Tequila category with high-value growth, allowing it to move on from its 'shooter and slammer' image of old. Richard Woodard reports on the growth in sipping Tequilas, the debate over the Mexican spirit's classification system, and the implications of the current over-supply of Tequila's basic constituent ingredient, blue agave. In these days of binge-drinking scares and social responsibility campaigns, the traditional image of Tequila has become increasingly anachronistic. Fuelled by slammers and shots, many consumers have ended their relationships with the quintessential Mexican spirit in nausea and regret. But in reality, the bad boy of the drinks industry has spent the past decade or so growing up, with a new wave of artisanal products serving an ever-increasing demand for luxury sipping Tequilas, particularly in the US. Until a few years ago, the ultra-premium Tequila market scarcely existed in the States, but by 2007 it had reached nearly 2m cases, led by the phenomenal growth of one brand: Patrón. Of the 1.96m cases of US$40-plus-per-bottle Tequila shipped last year, Patrón accounted for 1.62m cases, continuing a remarkable curve which has seen the brand enjoy a six-year CAGR (compound annual growth rate) of 49%. Its sales target this year is 1.9m cases, which should push revenues past the $1bn mark for the first time. 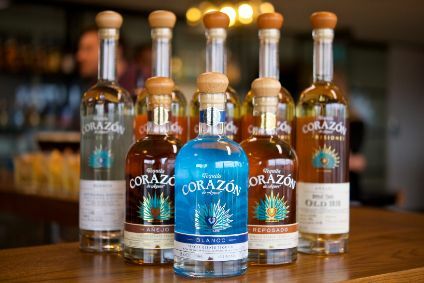 Amid the fuss over crafted, heritage-laden 100% agave products, it is ironic that the luxury Tequila boom was kickstarted by Patrón, a brand invented less than 20 years ago by hair products multi-millionaire John Paul DeJoria and business partner Martin Crowley. Patrón has its critics, with some in the Tequila heartland of Jalisco questioning the hefty price-tag and wondering how it is possible to reconcile the status of a hand-crafted product with selling nearly 2m cases a year. But since the brand's move to a purpose-built, ever-expanding distillery in the Tequila highlands, such sniping is becoming harder to justify. And, whatever you think of Patrón, its runaway success has created a new market segment for Tequila, and there is no shortage of brands rushing to fill the ultra-premium niche in bars across the US and beyond. The explosive growth in the sector has attracted interest from the industry's heavyweights: Brown-Forman paid $776m for Herradura 18 months ago, while Gruppo Campari forked out $80m for an 80% stake in Cabo Wabo, a small-volume, luxury brand created by Sammy Hagar of Van Halen fame. 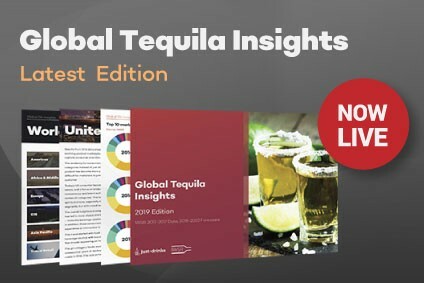 Tequila may be in the early stages of a golden age, but there are still some challenges attached to its image: the legality of bulk exports of the high-volume mixto category, for instance, makes economic sense for the big brands, but extending the current local bottling rule beyond just the 100% agave products would reinforce Tequila's claims to provenance. The classification system also risks confusing the consumer. The age ladder covering blanco, reposado, añejo and extra añejo is relatively straightforward, but what about the mixto 'Gold' category? Most consumers would associate the darker colour of 'Gold' products with extra ageing in oak, but the vast majority of them are regular unaged Blanco Tequilas with added caramel colour. Again, it is hard to reconcile this with the status of a 'natural' product of provenance and heritage. However, these are likely to prove minor irritations compared to the greatest medium-to long-term risk to Tequila's prosperity: the current plight of the Weber blue agave, the raw material for every bottle produced. Rewind to the year 2000: a combination of soaring demand, two devastating frosts and a fungal plague created a massive shortage of agave, with prices rising by a factor of 20 in the space of a year, to highs of MXN10,000 (then US$1,000) per ton. Intensive planting in the years since then means agave is now plentiful and prices have plummeted as a result. Good news for producers, but there are early signs that the current agave glut could only last for another few years. It's the usual production cycle, familiar to grape growers the world over: high prices mean more planting, then as the new plants mature, prices fall again. The worry is that, with prices now at historic lows, there is very little incentive for Mexican farmers to reinvest in new agave plants - or, in some cases, even to carry on farming their existing agave fields. Added to this is the risk of disease. Again, there are early indications that fungal infections are a growing problem in Jalisco's agave fields. So dominant is the blue agave in some areas that it has almost formed a monoculture, and this lack of biodiversity is providing ideal conditions for the fungus to thrive. This problem is only likely to be exacerbated as farmers abandon agave fields, leaving the fungal infection free to run rampant. However, these factors are unlikely to create supply problems for a few years at least - and some in the industry still remain unconvinced that they will cause serious problems even then. But if sales continue their currently inexorable upward trend, the squeeze on agave supplies is only likely to get tighter. So while these are indeed good times for Tequila, the industry needs to remain on its guard if its current prosperity is to last in the longer term.